December 3, 2014 December 3, 2014 facepaintbycynnamonLeave a Comment on Free Face Painting at Westlake Shopping Center Sat Dec 6th in Daly City! Free Face Painting at Westlake Shopping Center Sat Dec 6th in Daly City! 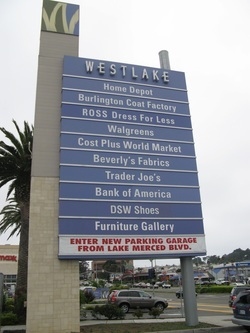 On Saturday December 6th, 2014 from 1pm-4pm, the Westlake Shopping Center in Daly City is hosting an Open House Free for the whole family! They are going to set up canopies and have all kinds of free activities and entertainment including face painting by the one and only talented, Cynnamon Simonson, free Balloon Twisting, free hot cocoa, live music, snow for the kids to play in, pictures with Santa and there will even be a spin-it-to-win-it prize wheel that you can spin to win gift cards and coupons for the stores at Westlake! You never know, you might win a gift card for your favorite shop! So come on down between 1pm and 4pm this upcoming Saturday with your children and any other children you can bring and enjoy the free event!